In my constant quest for pretentious foodie things, I’m usually left disappointed by Oakland’s beer shops. 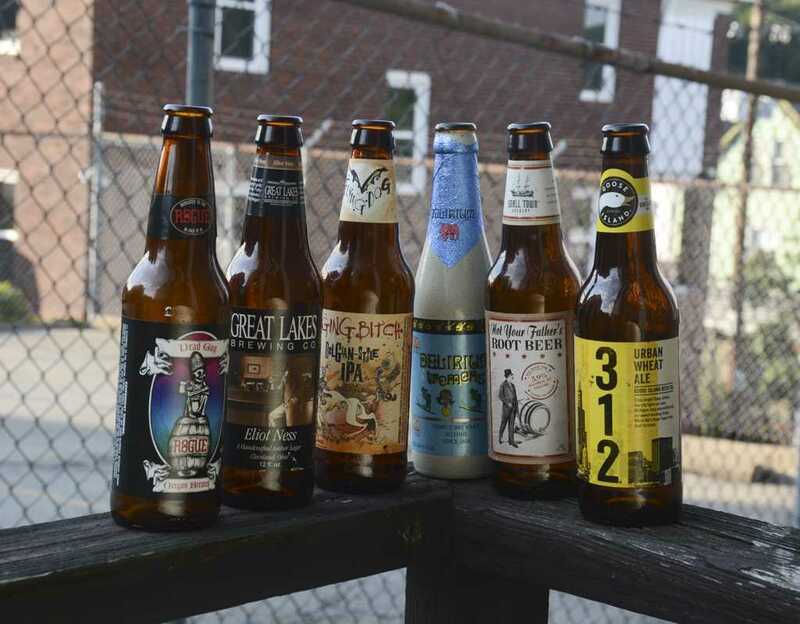 Between Pitt’s Doggin’ It, Mellinger Beer Distribution Inc. and the Original Hot Dog Shop, there are plenty of places to get beer — good beers even — but none of these places allow me to embrace my creativity with a chose-your-own six-pack. Luckily, this seems to have changed with the opening of The Bottle Shop on Fifth Avenue, at the site of the former Campus Bookstore. With an advertisement for “Make your own six-packs” displayed in big letters, I was drawn like a moth to a flame. I entered the store at about 6 p.m., which I quickly learned was closing time. It seemed early for a shop on a college campus — most prep for a night of drinking comes well past that hour — but luckily the staff let me take my time picking out some brews. The place is in the process of being renovated from its former life as a book and convenience store into a bottle shop in the front and bar in the back. The owner declared there would be a much better selection once the renovations were done, November at earliest. Despite the owner’s worries, I was pleased with the beers available — to a point. The selection was mostly domestic craft beers — like New Belgium and Flying Dog — and the macrobrews foreign and domestic — Guinness Foreign Extra Stout and Peroni were welcome sights. I selected my noble six brews — off to a “Sausage Party”-esque fate — and went to pay, after which the cashier tallied up each beer with a scan. I had noticed individual prices under the beers, but figured there was some overarching deal for picking my own. All together, my bill came to $19.25, but I was told prices might change once the shop was fully set up. Despite that early snafu, I was pleasantly surprised to find the beer still cold after my walk home through the humid oven South Oakland becomes this time of year. Sometimes I find beer from other places isn’t kept as cool as I’d like in their stores, leading it to warm during my return. But the Bottle Shops’ managed to survive my travels in pristine condition. I burned through a few that afternoon — the rest had a slower fate. Here I report the grisly aftermath with nothing but a few solemn burps. Overall, while the price seemed a little high, I was pleased with my beers and the choices presented. It’s worth noting as well that the average price per beer — $3.21 — was still half what I’d be paying at a bar for the same bottle. If a $12 six-pack option becomes available, with an even wider selection, than Oakland might have itself a serious new competitor for best beer shop on campus.